Trust us when we say that there is no job that we won't fix. From a standard oil change to a complete auto restoration, our team was carefully selected for their expertise in all things auto repair. If you're unsure of kind of repairs your car needs or you're worried about spending too much, call us and speak to our professionals. They will answer of your questions and even provide you with advice. It is recommended that you make regular appointments for auto maintenance to ensure your car is running in prime condition. 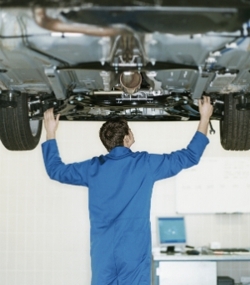 Why not choose an auto center that puts you first? Get your car ready for winter conditions today! The last thing we want is to keep you without a way to get to and from work, dropping off children, and running everyday errands. That's why we work quickly and efficiently on all repairs. Soon enough, you'll be back on the road. The only difference? A smoother, sturdier ride! For more information, call us at (317) 426-0958. Copyright © 2018 mrradiatorindianapolis.com All rights reserved.